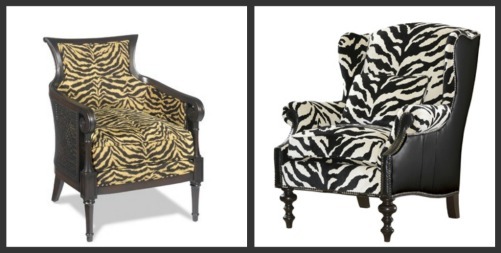 I recently attended a presentation of Tommy Bahama furniture collection by Lexington Furniture Brands and among lots of fun pieces the Zebra prints caught my eye. 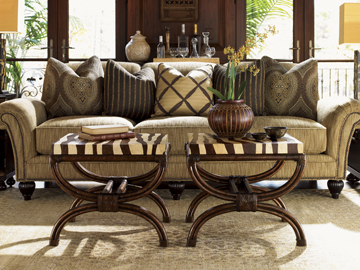 Tommy Bahama designs don’t hesitate to use animal prints as an accent to add the touch of exotic that promises adventure and relaxation at the same time… Known for his charm, wit and perpetual tan, Tommy Bahama himself, embodies the island life. An intrepid traveler, he speaks nine languages fluently and can flirt in dozens more. His legendary company is just that: A legend, the personification of an idyllic life. Inspired by the refined, unhurried attitude of coastal life, Tommy Bahama products started with printed silk shirts and tailored shirts, and quickly evolved into complete lines of apparel and products centered on the good , comfortable life. 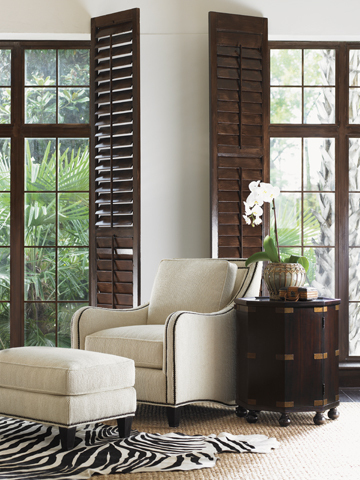 And today, you can fill your home from floor to ceiling with the “I am on vacation” look products that promise the relaxed elegance of Tommy Bahama. 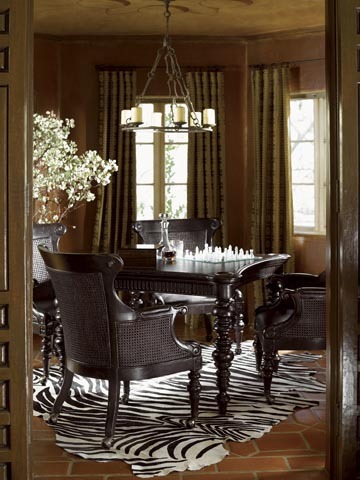 For information on Tommy Bahama furniture, contact us.